San Luis Obispo real estate and property management company McNamara Realty has agreed to pay $30,000 in order to settle a civil case over illegal removal and disposal of asbestos-containing material. Following an investigation conducted by the San Luis Obispo County Air Pollution Control District and district attorney’s office, prosecutors filed a civil environmental enforcement lawsuit alleging McNamara Realty mishandled asbestos, which is considered a hazardous waste. McNamara Realty removed approximately 1,100 square feet of asbestos-containing acoustic ceiling material from several residential units it was managing, according to the district attorney’s office. The property management company failed to notify the APCD prior to removing the ceiling material. During the removal process, there were no staffers on site who had training in asbestos abatement, prosecutors stated. Additionally, McNamara Realty failed to track the material, as required by law. Ultimately, the ceiling material was disposed of at a facility that was not permitted to receive hazardous waste. Under a settlement approved by San Luis Obispo County Judge Barry LaBarbera, McNamara Realty must pay $15,000 to the district attorney’s office and $15,000 to the APCD. Half of the money is for civil penalties and half is to reimburse the costs of the investigation. In a press release announcing the settlement, San Luis Obispo County District Attorney Dan Dow issued a statement saying McNamara Realty put public health at risk. 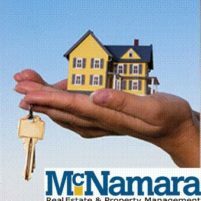 The settlement contains a permanent injunction prohibiting McNamara Realty from committing similar violations in the future. Prosecutors say the property management company cooperated with investigators and implemented procedures aimed at eliminating the improper removal and disposal of asbestos-containing material. This company did do wrong.However, to be fair there are other wrongdoing poorly operating property management companies in SLO county that are solely in business to line their pocketbooks and have no regard for the renters. Asbestos is a dangerous health hazard. Well, unless fines are paid to the DA and APCD, in which case it is no longer a health hazard. Thank God for the protection and wisdom of government. Typical McNamara. They knew what they were doing and hoped they wouldn’t get caught. They should be out of business they way they act. They only survive on naïvety. Look at the way McNamara goes after the residents pleading for help. And the property owners eat this up knowing that low maintenance means a fatter check each month. Shame on you all. My child had first hand experience dealing with these a—-oles. And when you complain, they tell you to find another place to live. I can tick off at least six properties RIGHT NOW that have some form of violation. 1100 sq, ft. of acoustic ceiling from several residential units. That material is usually about 1/8 th of an inch thick when applied. These units must have been very small and the amount of material minimal. This appears to be an over reach of power by government. $30,000 dollars? There are many more serious things going on in the county than to have the government sue people in civil court. Maybe our government is going to take a page from the local ambulance chasing attorneys and start going after those with deep pockets in order to fatten theirs. What was wrong with using a fee chart for whatever ordinance may have been violated and fine an established amount? We know that the state government is after our pocket books now it looks like the county is getting on the band wagon too. How else is Larry gonna get paid? Larry Allen will probably get a bonus as the end of the year now! Another great job of the APCD hijacking its citizens. Keep those fines coming in, the permit costs going up because the APCD staff need annual raises for their corrupt agency! We with a salary of over two hundred and thirty one thousand dollars a year you got to do something to earn your keep! Yet absolutely no mention of possible effects on current or future occupants of these propeties. Nor any mention of investigation or follow-up on any potential (probable) residual contamination left behind in these residences. The government whose “mission” is to ,in theroy, protect the public in actuality one more time simply feathers thier own nest with fines, fees, and taxes. The $30k fine was divided equally between the DA and ACPD; it appears that the investigation and prosecution of any wrong doing was more to enriched two county departments rather than protect the public. The fine proceeds should be more thought out and applied to areas of government that directly benefit the public rather than further enhance fully funded county departments; but that’s not how things happen in our tax happy government. A fine paid to the APCD, does this mean Larry Allen will finally break the $500,000 salary and benefits ceiling? A quick search on transparent California shows Larry is the highest paid air pollution control officer in the state of California!